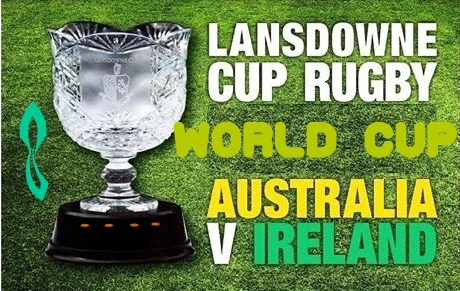 The tremendously nerve wrecking Ireland vs. Australia rugby final quarter in Sydney came to end with Ireland winning the Lansdowne Cup moving towards the Rugby World Cup 2019 in Japan. Technically speaking, the victory means that Ireland ends the season on 2nd place, New Zealand being 1st in the world rankings. Joe Schmidt, New Zealand born Irish rugby union coach, is willing to entertain any sort of speculation regarding the Irish team will be able to make it to the Rugby World Cup semi-finals or not. As the coach of Irish rugby team Joe Schmidt has won 42 matches out of 58 matches, which makes a winning ratio of about 70%. For the winning ratio so good, he will decide later whether to extend his contract as the Irish rugby team coach or not. However, it is clear that Joe Schmidt will be in charge for the World Cup. His existence as the Irish team coach expects a groundbreaking victory. The Ireland vs. Australia game was heated in the first half where Israel Folau showed his aerial presence with the Irish team captain, Peter O’Mahony, hitting the turf thrice and leaving the grounds. Despite, the team’s captain injured, the team showed remarkable performance and defense stood with an out class victory, in the second half. The events flew by in the second half, as Bernard Foley, an Australian rugby player, missed a pivotal kick, putting the Australian team at the back. Besides, the delayed TMO drama and the yellow card thing resulted as a plus point along with the Irish team’s resoluteness, as they have always been. Peter O’Mahony held the Lansdowne Cup, which has a history connected to both Australia and Ireland and the Ireland rugby union tour of Australia of 9th June 1999.With this extraordinary win, the June test series ended, taking a step forward towards the World Rugby semi-finals.